Ever wondered how some of your favourite celebs get that oh so natural glow? While it may be partially down to good genes, there are a number of other things that certainly benefit. These celebrities are firm believers in natural skin care products, but that doesn’t mean they’re afraid to follow their own rules when it comes to keeping their skin in the best possible condition. This Oscar-winning actress maintains her flawless complexion by using a mixture of avocado and Hawaiin kukui oil on her face. Lupita says that she uses this to take off her makeup which helps to keep her face naturally moisturised. Emma has admitted to having skin allergies which meant that she had to find a natural alternative to a lot of products on the market. To moisturise her face she picks up natural grapeseed oil from her local store, applying this after a shower and at night. Everyone knows Scarlett Johansson for her striking beauty. Part of the way she maintains this is by sweeping raw lemon over her skin on those days she feels her skin is dull. 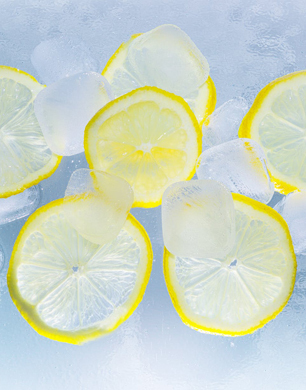 Thanks to their antibacterial properties, lemons have also been known to help treat acne. It might sting a little, but it’s completely chemical free. According to Zoe Saldana, her mother was a hippie and therefore very conscious of what her daughters used on their skin. She’s grown up making face masks out of oatmeal and using henna tea to highlight her hair. A DIY oatmeal face mask can work to soften and moisturise the skin, protecting you from outside irritants. We know Miranda is a huge advocate for natural skincare, so it’s no surprise that she uses coconut oil and apple cider vinegar to treat her hair. Coconut oil naturally conditions the hair, and apple cider vinegar can give it that coveted shine. This one may seem a little weird to many, but for Viola Davis, it’s a top beauty hack. She puts Crisco on her feet to get rid of any dry skin she may have. Who thought that this ingredient would be good for anything in the beauty department? If you’ve ever suffered burn from a curling iron or something similar, follow Salma Hayek’s tip of whipping egg whites together and putting them on the affected area. This takes away pain and creates a crust to prevent any blisters or scarring. To achieve her luminous skin, Priyanka whips up a face mask made from yoghurt and turmeric powder. This Indian spice is a known healer for the skin so it can help with issues such as eczema and acne.